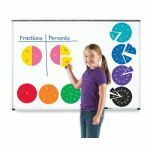 It's an easier way to teach or learn fractions! 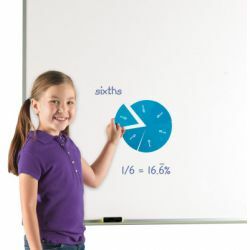 These bright and engaging magnets help students see math visually and practice solving problems in a hands-on way. The magnets have fractions on one side and percentages on the other so your little learners can understand the relationships. Works perfectly with Rainbow Fraction® resources. Whole square measures 6½”L x 6½”H.